The Rolling Stones No. 2 is the second UK album by the Rolling Stones released in 1965 following the massive success of 1964’s debut The Rolling Stones. It followed its predecessor’s tendency to largely feature R&Bcovers. However, it does contain three compositions from the still-developing Mick Jagger/Keith Richards songwriting team. On Dutch and German pressings of the album, the title is listed as The Rolling Stones Vol. 2 on the front cover, although the back of the album cover lists the title as The Rolling Stones No. 2. 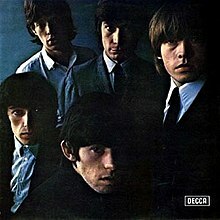 Using the cover shot for 12 X 5, the second US-released album in October 1964, The Rolling Stones No. 2′s track listing would largely be emulated on the upcoming US release of The Rolling Stones, Now!. While Eric Easton was co-credited as producer alongside Andrew Loog Oldham on The Rolling Stones’ debut album, Oldham takes full production duties for The Rolling Stones No, 2, which was recorded sporadically in the UK and US during 1964. A huge hit in the UK upon release, The Rolling Stones No. 2 spent 10 weeks at No. 1 in early 1965, becoming one of the year’s biggest sellers in the UK. Due to ABKCO’s preference towards the American albums, they overlooked both The Rolling Stones and The Rolling Stones No. 2 for CD release in 1986 and during its remastering series in 2002. Consequently, the album was out of print for many years and was thus widely bootlegged by collectors. The Rolling Stones No. 2 was again made available to the public as part of a limited edition vinyl box set, titled “The Rolling Stones 1964–1969”, in November 2010 and (by itself) digitally at the same time. The original title was also re-instated as part of the ‘Rolling Stones in Mono’ cd box set, released on September 30th 2016.